Its currency has been devalued, its stock market is plunging. Should the world worry about China's economy? WASHINGTON • China, many believe, is in a financial and economic meltdown causing anxiety and panic everywhere. 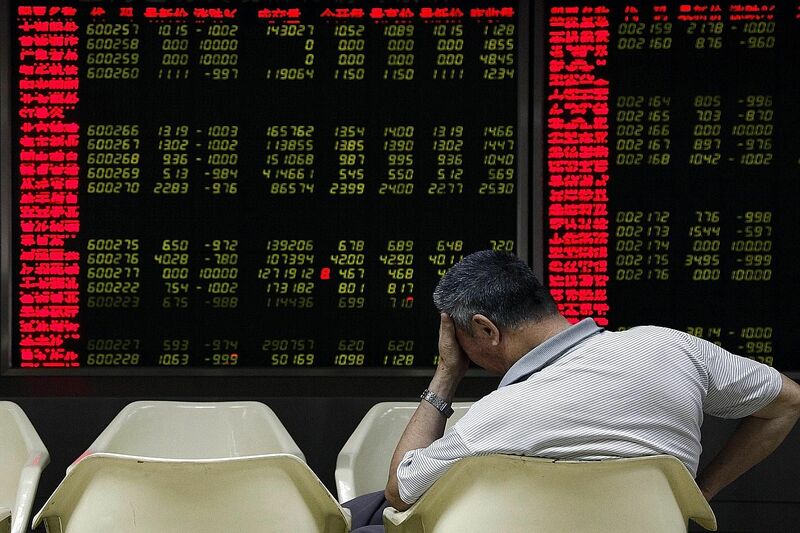 China's stock market dive first dragged down other emerging markets and has now spread to the United States, slicing trillions of dollars off the value of stocks traded here and in other global markets. Since China is the world's second largest economy and has growing financial ties around the world, developments there clearly have enormous potential implications for both developed and emerging markets. But the popular narrative is not well supported by the facts. There is little evidence that China's economy is slowing significantly from the 7 per cent pace reported by the government for the first part of the year. Wage growth is running at about 10 per cent annually; the pace of creation of non-agricultural jobs is stronger than in any recent year; both real disposable income and consumption expenditures of Chinese households are growing strongly. It is not the picture of an economy heading for a hard landing. Services, not industry, are driving China's growth, as has been the case for three full years. This is likely to continue since per capita incomes in China are reaching a level where a growing share of spending is on entertainment, travel and other services rather than on goods. Naysayers question government economic data, continuing to focus on weakness in China's industrial sector and the extremely slow growth of electric power output. But steel production, for example, is significantly more energy intensive than entertainment, so the demand for electricity has fallen sharply as the structure of the economy has evolved. Assuming that electric power growth is a good proxy for China's overall economic expansion is like trying to drive a car by looking in the rearview mirror. Some economists watching from abroad believe the country is in the midst of a financial crisis because of the excessive debt burden it incurred in recent years. But that view is even less well supported. After a very modest two-day depreciation earlier this month, the exchange rate of the yuan has changed little against the dollar for eight consecutive trading days; capital outflows continue at a moderate, very sustainable pace; bank liquidity remains strong. This does not yet look remotely like a financial crisis. Rather than a financial and economic meltdown, China is experiencing an overdue correction in its equity market. And the connection between China's equity market and China's real economy has always been tenuous. By my tallies, from June last year to June this year, prices increased more than 150 per cent on the Shanghai exchange, and even more on the Shenzhen Stock Exchange and the Shenzhen ChiNext board, a Nasdaq-style marketplace. An unusually large part of this run-up was fuelled by retail investors who borrowed to buy equities. The market was priced way beyond perfection. Once prices fell even slightly, many of these investors found themselves needing to sell, leading to a sharp market correction. At first, the government unwisely intervened to stem the rout for a time, but the sharp sell-off continued earlier this week. There is likely to be more of the same to come. Even at Tuesday's much lower prices, the Shenzhen market was trading at a still-lofty 39 times earnings. While not as overpriced, American equities before last week had experienced a six-year bull market without a correction. The catalyst for this month's correction was the view that China's growth was weaker than advertised and likely to soften further and that the currency depreciation that began earlier this month was China's last gasp at propping up economic growth. The perception that China's growth was slowing drove commodity prices to new lows, further weakening emerging markets such as Brazil and Chile that are big commodity exporters, and eventually driving down American equities sharply. But if China had not been the catalyst for the correction in American markets, it most likely would have been something else. And that is what the government of China is now doing, both with respect to the exchange rate and belatedly in more recent days, to a surprising extent, with the equity markets. There remain concerns over Chinese real estate and state-owned enterprises. But recent events should be seen as part of the conscious liberalisation and rebalancing of the Chinese economy. Even if that means a sell-off in stocks, it is not a sell-off in the fundamentals of the Chinese economy. In fact, this may strengthen those fundamentals by going further down the path to reform. • Nicholas R. Lardy is the author of Markets Over Mao: The Rise Of Private Business In China, and a senior fellow at the Peterson Institute for International Economics.